Home > News > Nice! Night! Odaiba!! 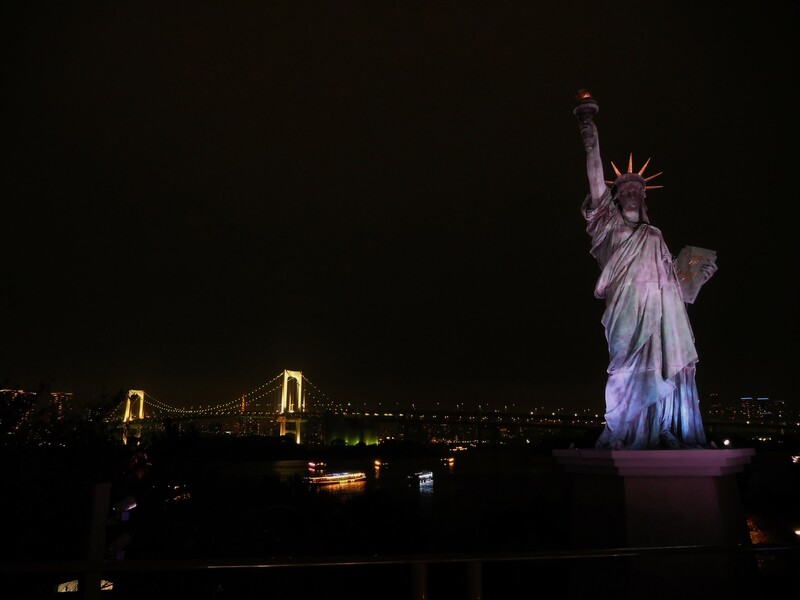 Odaiba is popular sightseeing spot as an entertainment area. Also it’s a popular for just “young” couples for gping out place!! Night view from Odaiba is beautiful! The statue of Liberty, Rainbow Bridge, Tokyo Tower and Skyscrapers. And at night, odaiba is calm and less people than day time. We can feel relaxed ! (>3<)haha, nice! " 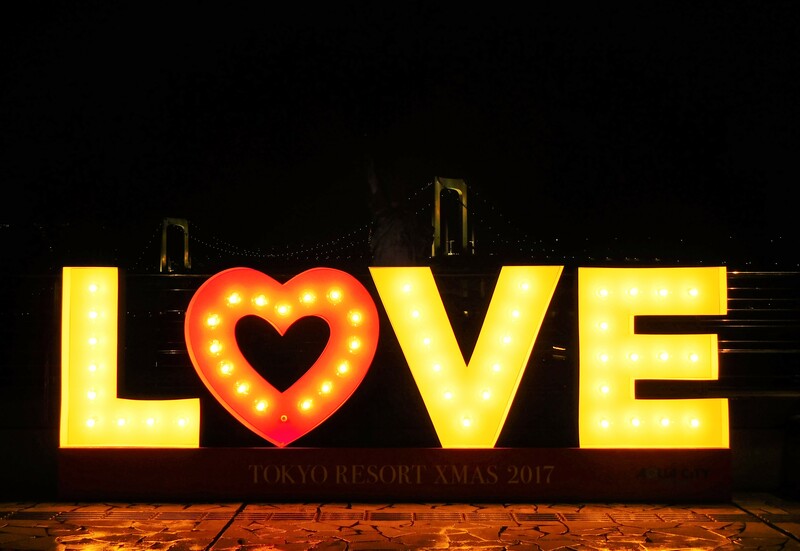 TOKYO RESORT XMAS 2017 ~AQUA CITY ODAIBA~ " This ivent made the photo spot! (~ December 25th) Can you see the statue of Liberty dimly behind "LOVE" ? Yes! there she is! You can take photos with LOVE and the statue !! Also famous sight is the head office of FUJI television. The building is interesting. The building is with Cross stripes and ball!! This building was desighed by super famous architect, Mr. Kenzo Tange. He also designed the metropolitan government office, Park Hyatt Tokyo Hotel in Shinjuku, the prince Park Tower Tokyo Hotel near Tokyo Tower. and more!!! not only in Japan, in the world!!! There are so many things to learn! Endless ♪ It's really fun to learn new things. But, my brain is about to explode :p hahaha!